Kayakers can't go too far in the Grand River in downtown Grand Rapids because the dams are dangerous. 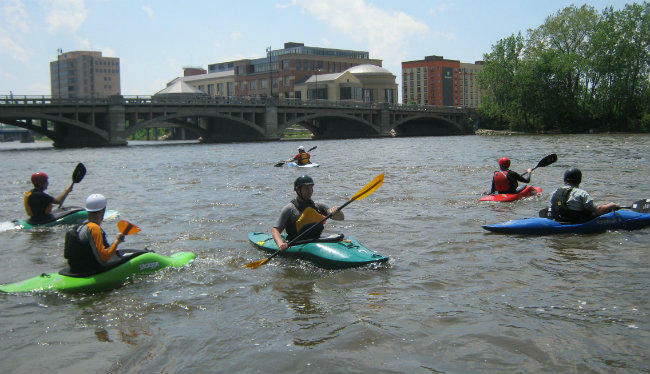 Initially the effort to restore the rapids was launched to make the Grand River safer and more attractive to canoes and kayaks in downtown Grand Rapids. 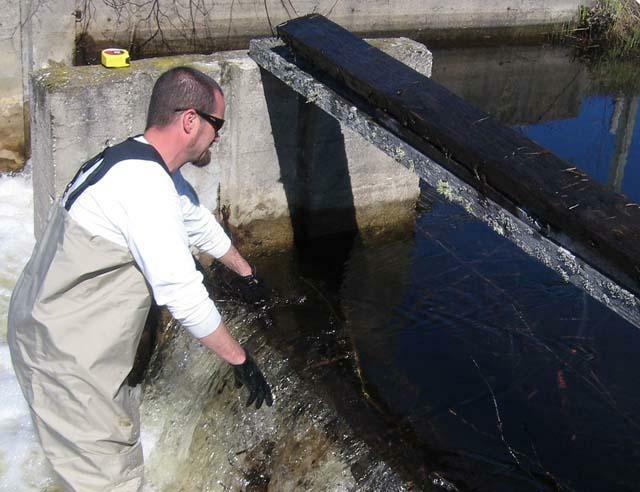 Now the effort has broader goals like restoring habitat for native fish and revitalizing the downtown. Organizers have lobbied U.S. Senator Debbie Stabenow for a while now. The new partnership should help coordinate federal and state agencies to help make the project a reality. Stabenow said the partnership is a commitment from ten federal departments or agencies to offer technical, planning, engineering and other resources. The group, Grand Rapids Whitewater, still needs to raise some $27 million to fund the project. Chris Muller helped start the effort about five years ago. “I think (the partnership) is huge. It gives us a great comfort level that we’re on the right track and we have a great support system around us to pull it off,” Muller said. Federal officials involved in the partnership said the Grand Rapids project was chosen (one of 11 in the country) in part because it was a grassroots effort. 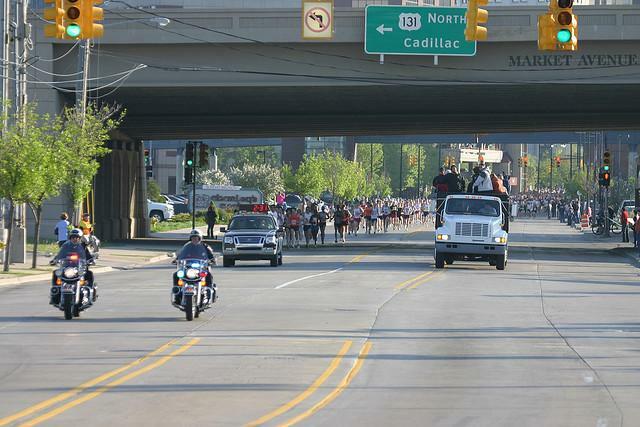 “This year, by far, will be the largest security force that we’ve had for a 5th/3rd River Bank run to date,” Grand Rapids Police Chief Kevin Belk told city commissioners Tuesday. 21,000 runners are registered for the race. He’s coordinating security with the FBI, the Department of Homeland Security and five police forces from neighboring communities. We've been spending the past couple months going on fishing trips, and talking to people who fish for fun and for a living... to bring you stories about everything you never knew you wanted to know about fish and fishing in the Great Lakes. Today, you can hear the result of our effort in a special one-hour documentary we're calling Swimming Upstream. 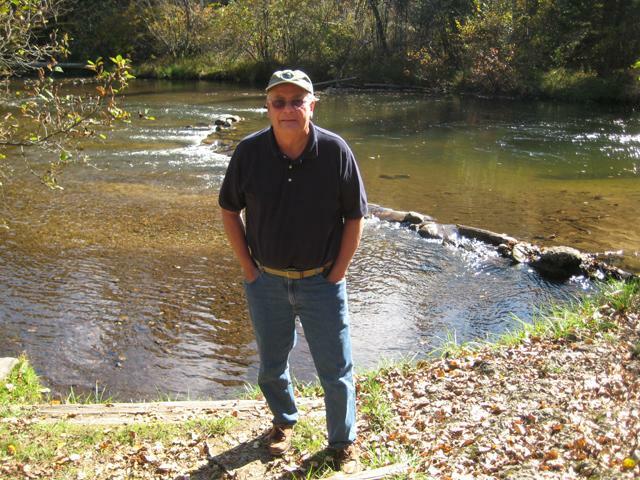 We'll tag along on a salmon fishing trip with Lester Graham, go on an Asian carp rodeo on the Illinois River, meet commercial fishers (both tribal and non-tribal), and go fishing with Dustin Dwyer as he gets into the mind of a fish. We think of the Lakes today as a great place to play on the beach, to swim, to go fishing. But those huge, beautiful lakes are changing. The changes are happening so fast that the agencies which manage fishing cannot keep up with them. On average, a new foreign species gets into the Lakes every seven months. 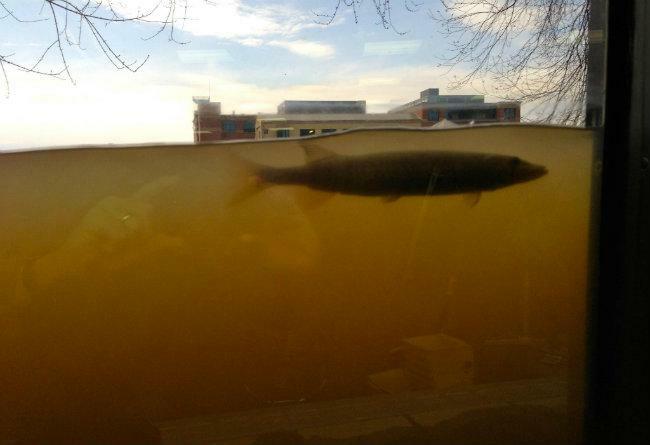 Each could be a threat to the lakes and the fish in the lakes. 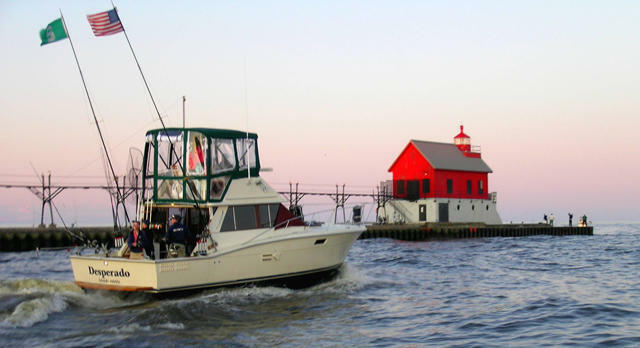 We explore the health and future of the Great Lakes, and hear stories about fish and the people who catch them. Or tune in today at 1pm and 8pm on Michigan Radio to hear Swimming Upstream and let us know what you think. Find out more about fish consumption advisories: in Michigan, in Ohio, in Wisconsin, in New York, and in Illinois.